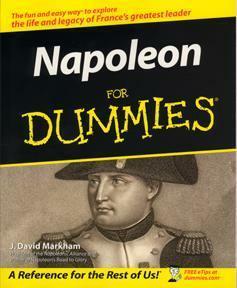 This book covers the period from Napoleon's defeat at Waterloo to his surrender to the British. Napoleon’s incredible career went through a number of distinct periods. Much has been written about his rise to power, his time as leader of France, his final defeat at Waterloo and his exile on St Helena. But the short critical period of his fall from power, the few months in 1815 between Waterloo and his departure to St Helena, has received less attention. J. David Markham’s gripping new study focuses on this, Napoleon’s last effort to control his own destiny, and the final dramatic episodes in his fateful career. The immediate aftermath of Waterloo is as fascinating as any stage in Napoleon’s career. The story combines elements of treachery and deceit, indecision, error, politics and law. It features high drama and a good measure of pathos. During this time Napoleon could have held on to power, escaped to the United States or been shot, and the story of how he came to surrender to the British will leave the reader amazed. As J. David Markham unravels the web of politics and intrigue that surrounded the defeated emperor, he gives a penetrating insight into Napoleon the man during the darkest, most difficult months of his life. His account also offers a sharp insight into the powerful, often devious personalities of the cast of characters who played leading roles in the drama. 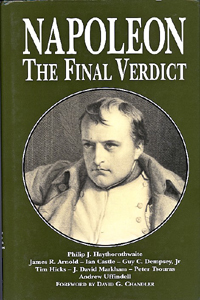 He quotes extensively from the diaries and memoirs of the principal actors, including Napoleon himself, in order to reconstruct the complex, fast-moving sequence of events. 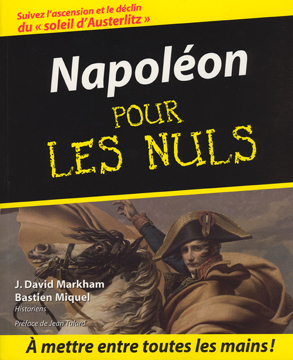 J. David Markham’s graphic account is a valuable contribution to the history of the Napoleonic epoch, and it gives a compelling insight into Napoleon in the months and days when he was forced to relinquish his grip on power. This anthology collects seven of the top stories in the alternate military-history genre by writers Harry Turtledove, Kim Stanley Robinson, John Mina, William Saunders, Michael F. Flynn, and editor Mike Resnick and submits them to scrutiny by seven eminent historians to find out just how probable the events they describe really are. 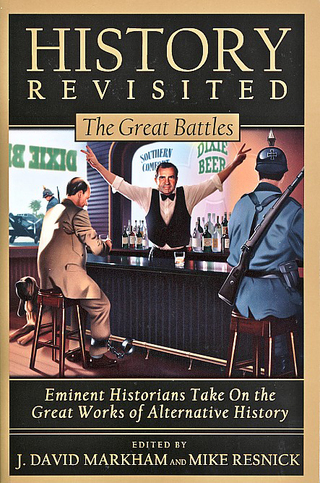 Addressing pivotal historical events—including the dropping of the atomic bomb on Japan, the Battle of New Orleans, radical politics and Southern strategy in the mid-20th century, the Napoleonic wars, Alcibiades’s sack of Syracuse, the American Civil War, and Kenya’s fight for independence from Britain—this book seeks to find out how different circumstances could have affected world history. Historians present intriguing questions about these events, such as Could our atomic bomb policy really have been changed by one faulty screw? What if Napoleon had become emperor of the United States, leading such heroes as Crockett and Houston in the Battle of New Orleans? Would Admiral Nelson’s defection to France really have altered the course of the Napoleonic wars? Would President Lincoln’s assassination during the Gettysburg Address have left the Confederacy as a separate country? From one end of the historical spectrum to the other, this book looks at what didn’t happen in military history to gain a richer understanding of all that did. As editor, I wrote a general introduction and introductions to each of the articles. I also wrote a response to one of the alternative histories. An abridged audio book has also been produced (that includes all that I wrote), and I was honored to be one of the readers. An interesting–sometimes serious, sometimes lighthearted–look at people, events and ideas in history. I wrote articles on Julius Caesar and Charlemagne. This easy-to-follow and well-researched biography goes beyond the stereotypes and introduces you to this extraordinary man's incredible life and career. It traces Napoleon's rise and fall, chronicles his military campaigns, details his accomplishments, explains both his triumphs and his mistakes and explores his lasting impact on the world. This is essentially the same book as the English version. The French editors had historian Bastien Miquel replaced my "Part of Tens" section with material more appropriate to a French audience and they changed the cover, using the more familiar image of of David's Napoleon Crossing the Alps. Most important, they had Jean Tulard, the greatest living French Napoleonic scholar, write a preface. The images, cartoons and my writing are otherwise exactly the same. 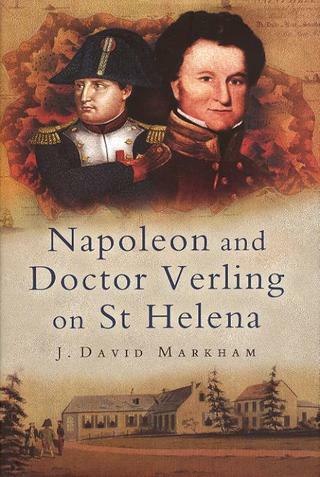 Dr. James Verling's previously unpublished St. Helena journal is an important piece of the Napoleonic puzzle. Through Verling's eyes, aided by David Markham’s astute commentary, we get a fresh view of daily life on the island and of the suspicion-filled society that grew up around Napoleon during his last years. 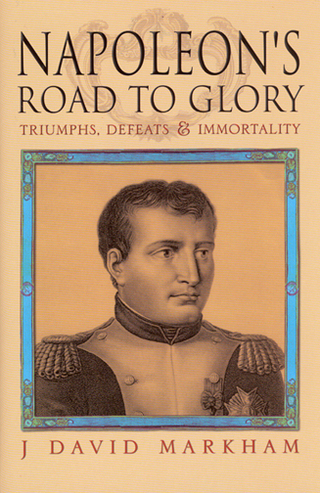 Napoleon’s Road to Glory covers all aspects of Napoleon Bonaparte’s career as well as a careful consideration of his historical legacy. David Markham gives the reader a good understanding of the nature of Napoleon, his successes and failures, his brilliance and his errors. It is balanced and well-reasoned scholarship at its best. 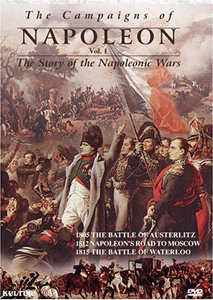 Winner 2003 International Napoleonic Society "President's Choice" Award for Napoleonic Literature. Not since Caesar’s Commentaries have military bulletins revealed so much about a great leader! Napoleon's time in exile on the remote South Atlantic island of St Helena was anything but happy. But there was one bright spot. Betsy Balcombe, a fourteen year old girl who was something of a tomboy, "adopted" Napoleon as something of an uncle while he was staying on her father's property. 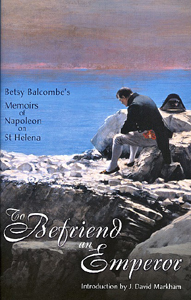 Her memoir reveals a side of Napoleon often not seen, and is one of the most delightful of all Napoleonic memoirs. My introduction is designed to give the reader a sense of perspective that will allow for a more complete understanding of their relationship. J. David Markham, Philip Haythornthwaite, James Arnold, Ian Castle, Guy Dempsey, Jr., Tim Hicks, Peter Tsouras and Andrew Uffindell discuss and analyze Napoleon's career. David Chandles starts it all off with a foreword. Four of the six stories are included, as well as the introductory material. Nine hours of pure joy! The highlights of the three DVD set are the segments on Napoleon's Greatest Victory (that would be Austerlitz, of course) and Caesar: Conqueror of Gaul. These segments feature J. David Markham, who is the only historian (save for the host, Captain Dale Dye) who appears on more than one segment. 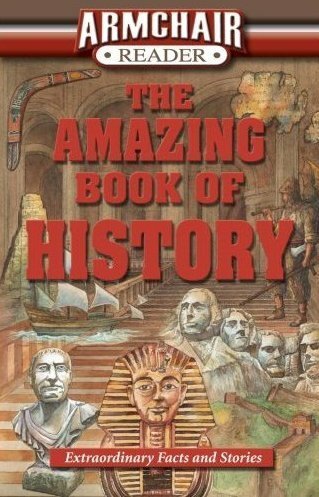 This collection frequently has been featured on the History Channel and its various affiliates (e.g. the Military History Channel). The DVD was originally released as Napoleon: The Myth, the Battles, the Legend, but that release has been replaced by this one. Both version feature J. David Markham and a team of British scholars, dramatic narration and scenes from the movie War and Peace. 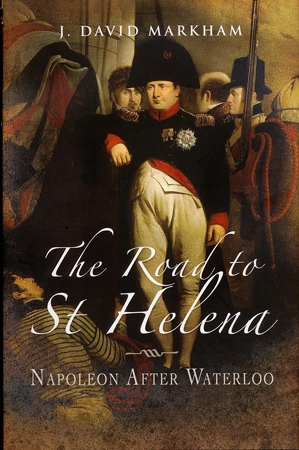 Ever since Napoleon's death in exile on St Helena on 5 May 1821, historians have believed that he died of natural causes, most likely stomach cancer. But thanks to International Napoleonic Society President Ben Weider's determined investigation, modern science suggests that he was likely poisoned. 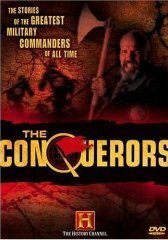 Weider, Markham and several other distinguished Napoleonic historians explain all in this Discovery Channel production. 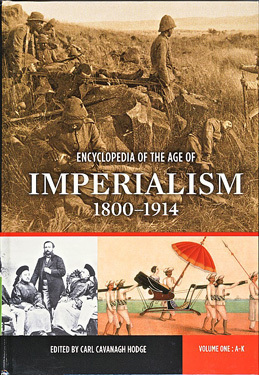 This very significant encyclopedia, edited by Professor Carl Hodge of the University of British Columbia-Okanagan, offers information on the major world powers of the 19th and early 20th century. It focuses on the formation, structure and influence of the economic and territorial empires, as well as detailed information on major people and events of the era. In addition, there are various essays, primary source documents and maps. This comprehensive and award-winning three-volume work on the French Revolution and Napoleon's rule and campaigns covers a wide range of military, political, social, and cultural events and personalities during a time of dramatic change in Europe. Edited by Gregory Fremont-Barnes and with contributions by some of the world's top scholars of the period. A four-volume work of considerable importance. 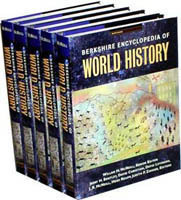 "This pioneering Berkshire Encyclopedia of World History is designed to help both beginners and experts to sample the best contemporary efforts to make sense of the human past by connecting particular and local histories with larger patterns of world history." I wrote the segments on Julius Caesar, Augustus Caesar and Napoleon Bonaparte. 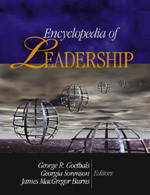 Developed by the award-winning editorial team at Berkshire Publishing Group, the four-volume Encyclopedia includes hundreds of articles, written by 280 leading scholars and experts from 17 countries, exploring leadership theories and leadership practice. Entries and sidebars show leadership in action—in corporations and state houses, schools, churches, small businesses, and nonprofit organizations. 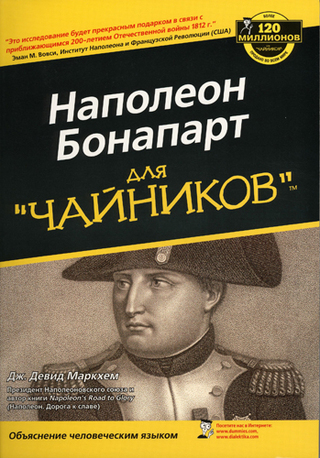 I wrote the segment on Napoleon Bonaparte.